Ever since I came to Melbourne, I’ve been so lucky to have my sister take me to different restaurants that she’s been to and introduce me to so many delicious food. One of the first few places she took me to was Lorca, a Spanish cafe located in the Diagon Alley-esque alleyway at Centre Place. Seriously, that place looks like it came out of the Harry Potter books, or at least how we imagined it to be. An array of restaurants and cafes are lined up on both sides, and each one of them looks so distinct and unique. 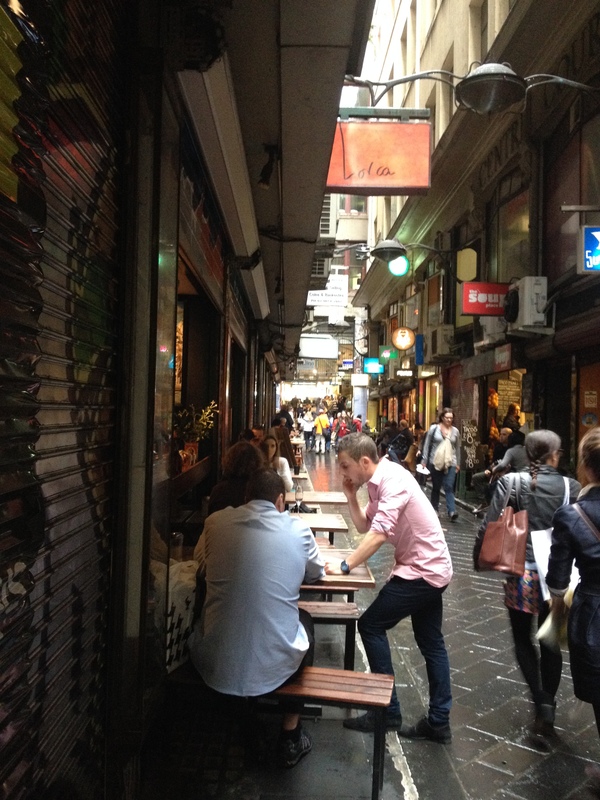 Centre Place is also very close to the Flinder’s Street Station, and in the heart of the city, which is usually always bustling with people.